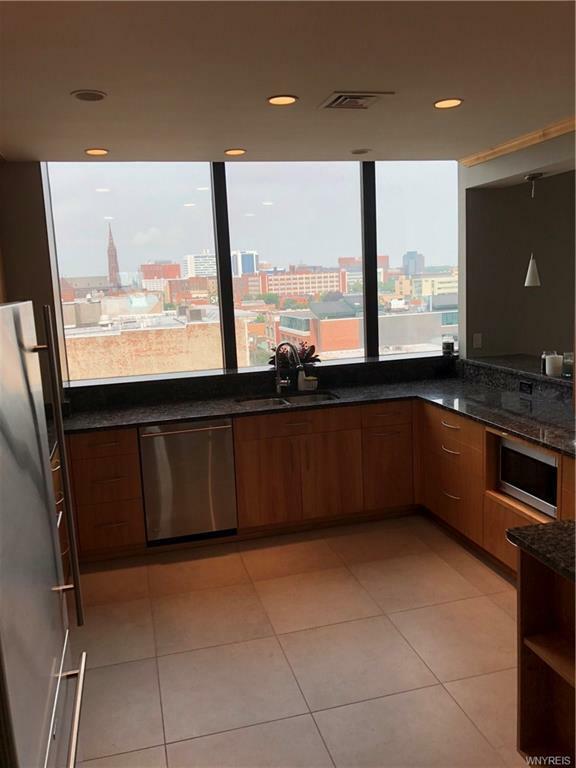 Immaculate 9th floor residence in the heart of downtown Buffalo. 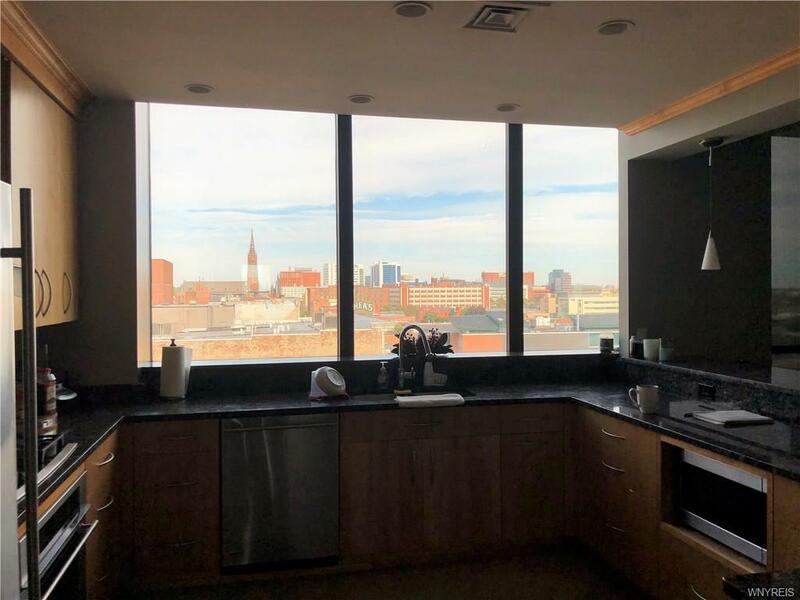 This modern 1 bedroom, 2 full bath unit is complete with a gourmet kitchen with professional appliances, master bath with whirlpool tub and large walk-in shower. 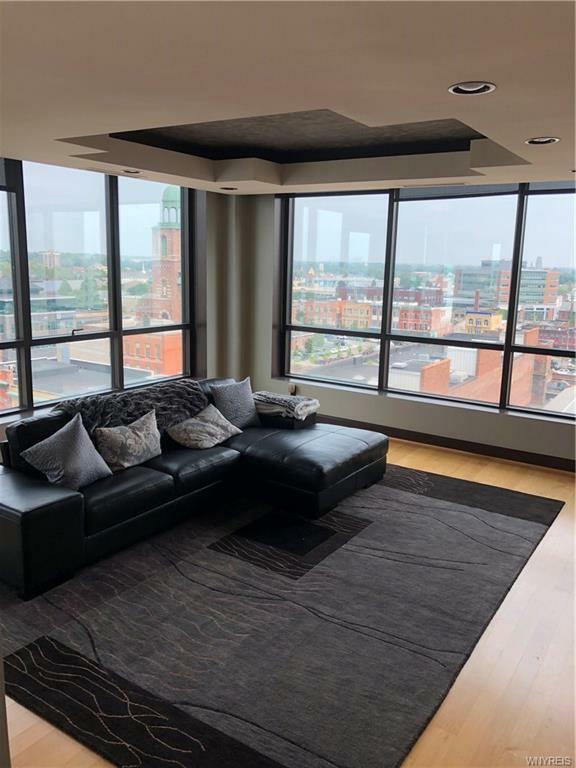 This unit boasts North, East and West views of the city and Lake Erie. 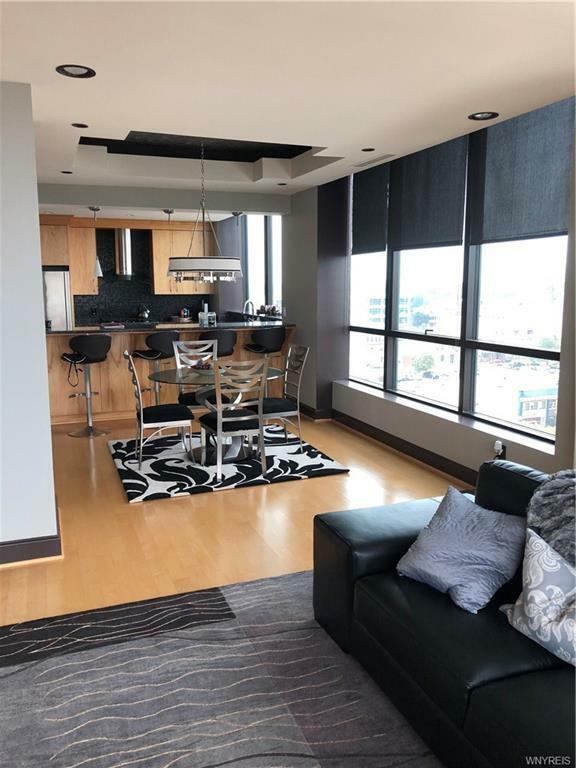 This condo also offers in-unit laundry, heated underground parking and 24 hour security staff. Call now to schedule your private showing.